1 For the pesto, pick off the basil leaves and puree with the peeled garlic, pine nuts and sufficient oil to produce a creamy mixture, adding the oil in a steady stream. Season to taste with salt and pepper. 2 Wash and sort the rocket and arrange on plates. 3 Season the chops with salt and pepper. 4 Heat a little oil in a saute pan and fry the chops for 2-3 minutes each side, or until golden brown. 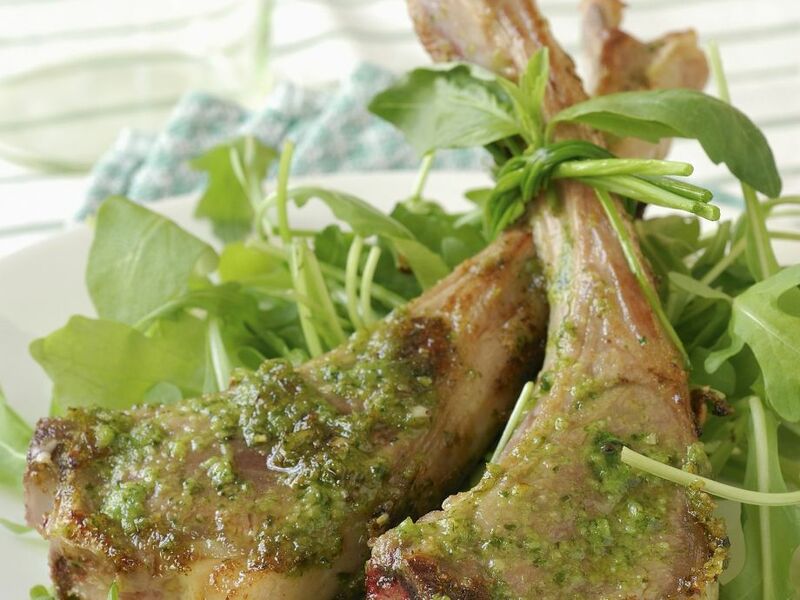 5 Place two lamb chops on each plate and serve drizzled with pesto.